Pacific Life Insurance Company has been in business for more than 150 years. It is headquartered in Newport Beach, California with over 3,000 employees. The first offering of Pacific Life was accident insurance which it began offering in 1885. The company consolidated with Conservative Life out of Los Angeles, California in 1906. Pacific Life subsidiary companies include: Aviation Capital Group Corp., Pacific Asset Management, Pacific Life RE Limited and Pacific Select Distributors, LLC. Pacific Life Insurance Company has donated more than $84 million over the past thirty years to help low-income communities through The Pacific Life Foundation. The Better Business Bureau gives Pacific Life Insurance Company its “A+” rating although the company is not accredited with the BBB. There is not a great deal of information on the BBB site about Pacific Life but there are few customer complaints listed. 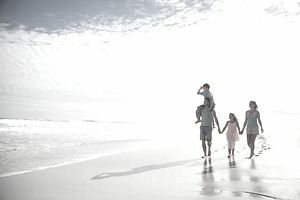 Term Life Insurance: Term life insurance through Pacific Life provides temporary coverage at an affordable cost. You also have the option to convert a term life insurance policy to a cash value policy later if you choose. Term life insurance is available at 10-year, 15-year, 20-year or 30-year terms. You can add more protection by adding the terminal illness rider, or the waiver or premium rider which waives premiums after a waiting period of 180 days if the insured becomes disabled before age 60. Universal Life Insurance: There are six different universal life insurance plans available through Pacific Life Insurance Company. The plans offer death benefit protection as well as cash value accumulation. Some plans offer flexible payment options as well as a guaranteed minimum interest rate. If your coverage needs change, you can adjust your coverage. You also have the ability to take a policy loan out against the accumulated cash value of your policy. Variable Universal Life Insurance: Pacific Life offers three different variable universal life insurance plans. These plans offer an income=tax free benefit, tax-deferred cash value growth and tax-free supplemental income potential. The downside protection rider guarantees a minimum accumulated cash value at the end of your 15-year or 30-year rider periods. Indexed Universal Life Insurance: Pacific Life has five different indexed universal life insurance plans. In addition to life insurance protection, these plans offer guaranteed minimum interest crediting rates. You can customize the policy by adjusting your premium and life insurance coverage to fit your individual needs. The career center provides information about employment opportunities at Pacific Life. The education center houses a video library with titles in retirement income, small business solutions, life and estate planning, women & wealth, retirement planning and a video on how to preserve your legacy. There are also other resources including infographics, calculators and links to external websites for financial advice. There is a health living section with resources to educate on a variety of medical and health issues. Pacific Life Insurance Company is a reputable company with over 145 years in the insurance industry. It has very strong financial strength ratings and a good variety of life insurance plans to match your specific needs. While it is not accredited with the Better Business Bureau, it does have an A+ rating. It is a good option to consider when searching for the best value on an insurance policy. For more information about Pacific Life Insurance, you can call 1-800-800-7646, a.m. to 5 p.m., Monday – Friday, Pacific Time or visit the Pacific Life Insurance Company website. You can also use the online form for questions or comments.